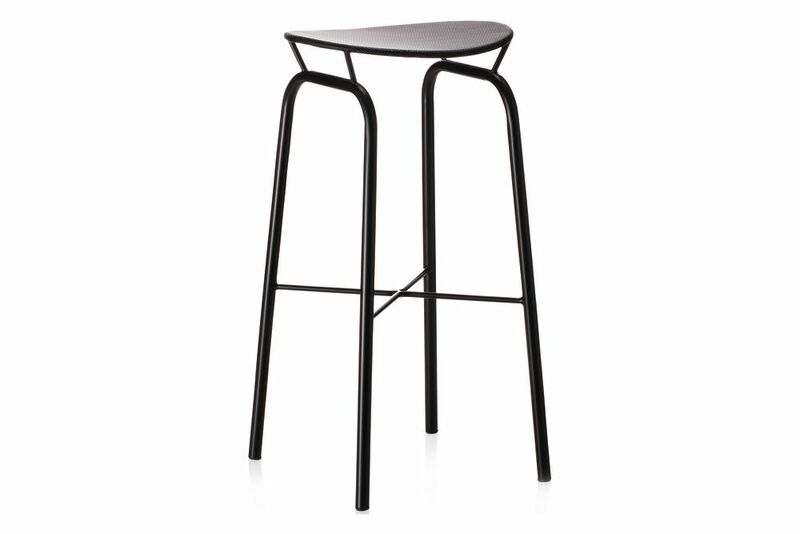 The stool is made of perforated metal sheet and welded on a four-legged metal frame. Besides the stool the collection consists of Nagasaki chair, Dedal bookshelf, Kangourou sofa table, Coatrack Demon shelves, Trolley and Copacabana collection. All models are made of powder-lacquered steel.